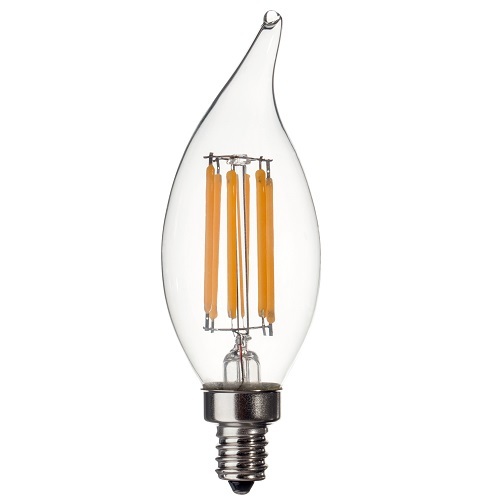 The new 120V E12 or medium base CA10 (flame tip) LED series integrates a set of filament LED sources and is ideal to replace incandescent bulbs. Available: 2W, 4W,6W options. This series LED light bulbs are highly versatile, which can be in lanterns, fan or chandelier fixtures and offer significant energy savings and environmentally friendly. Light output is 360° which is perfect for even dispersion applications.